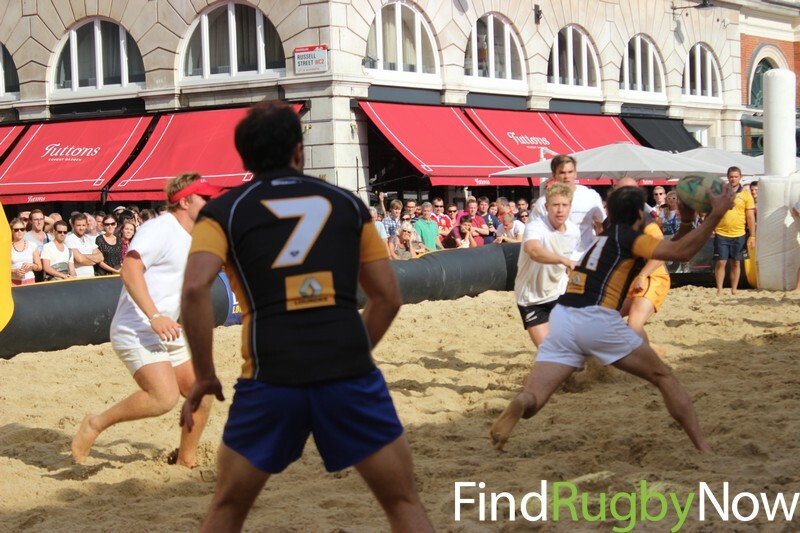 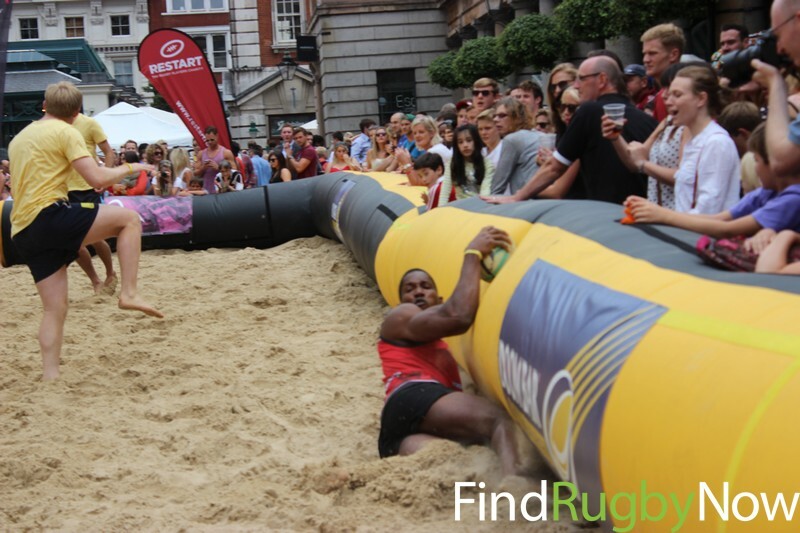 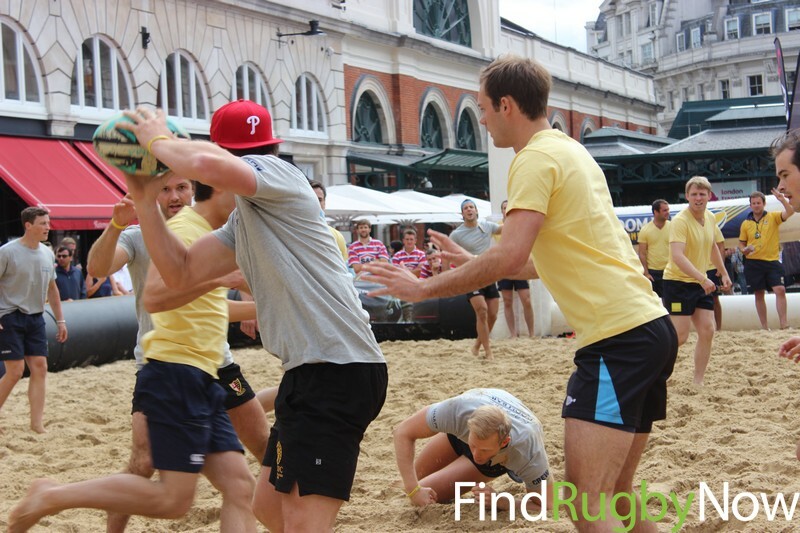 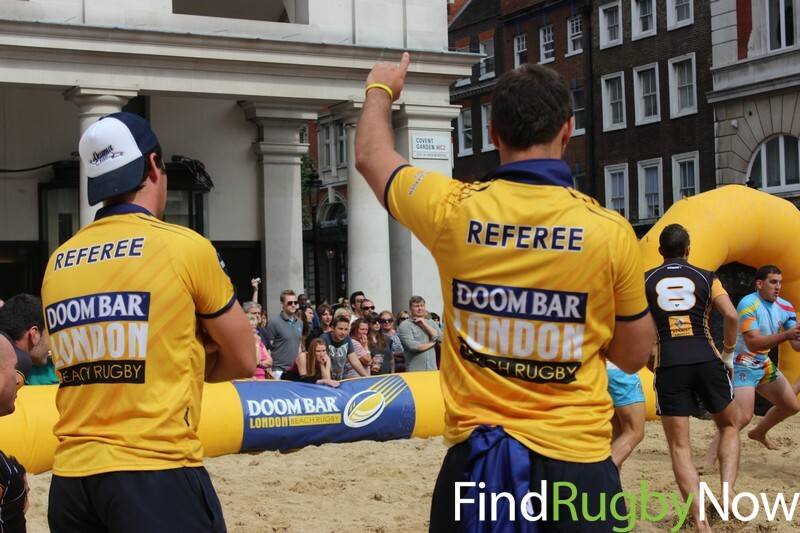 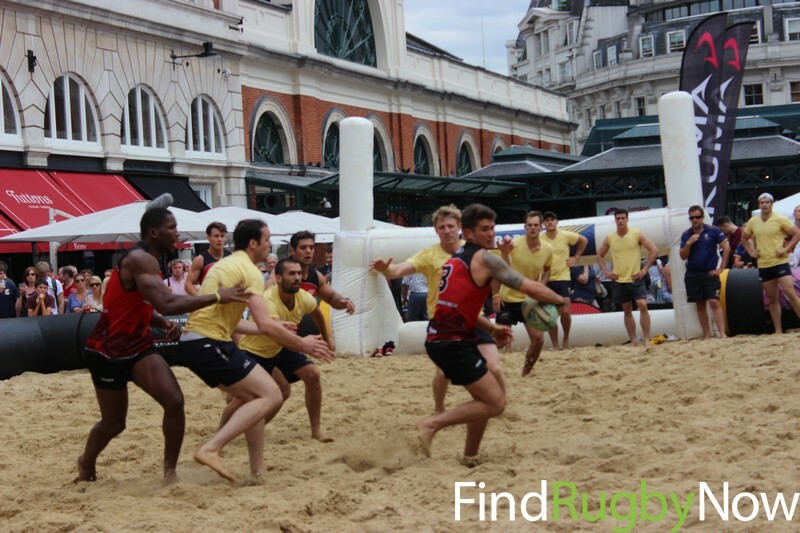 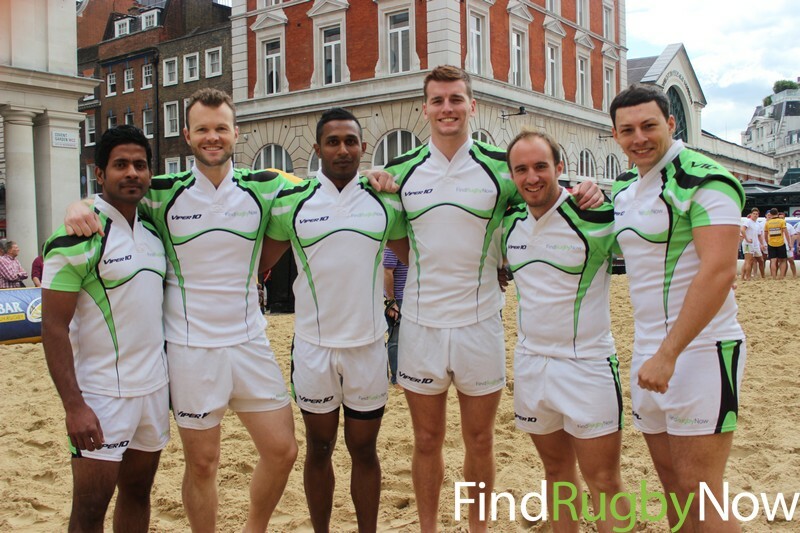 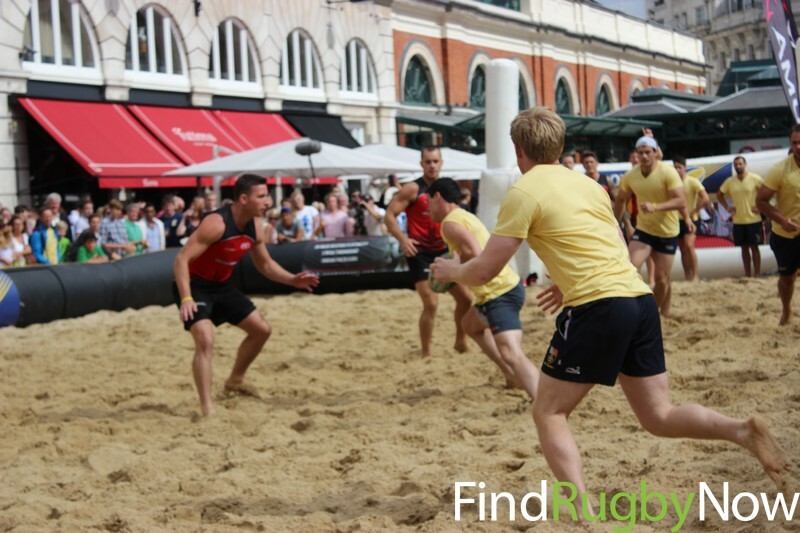 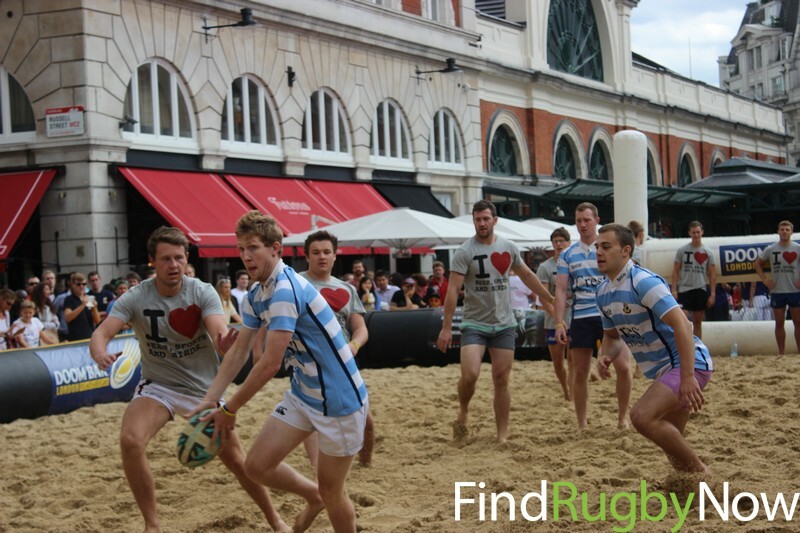 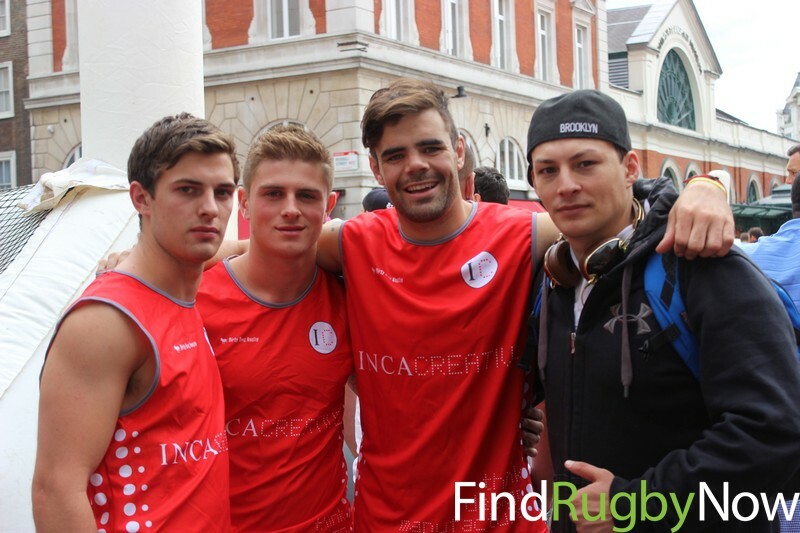 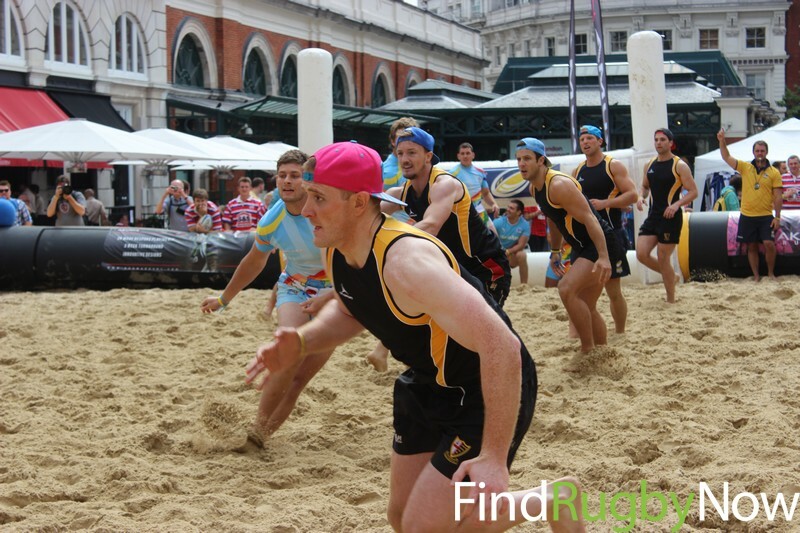 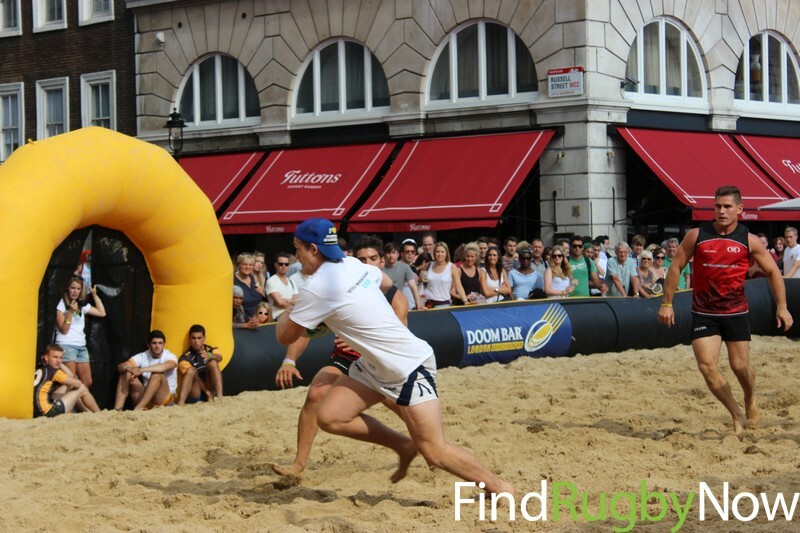 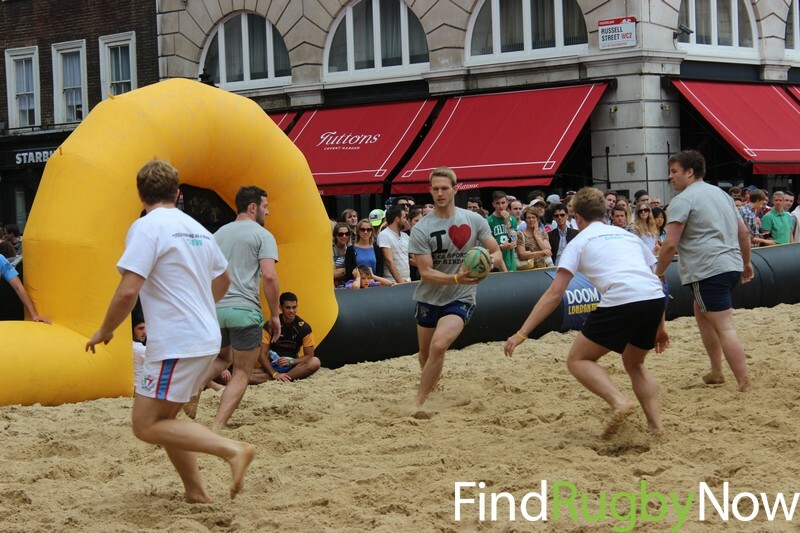 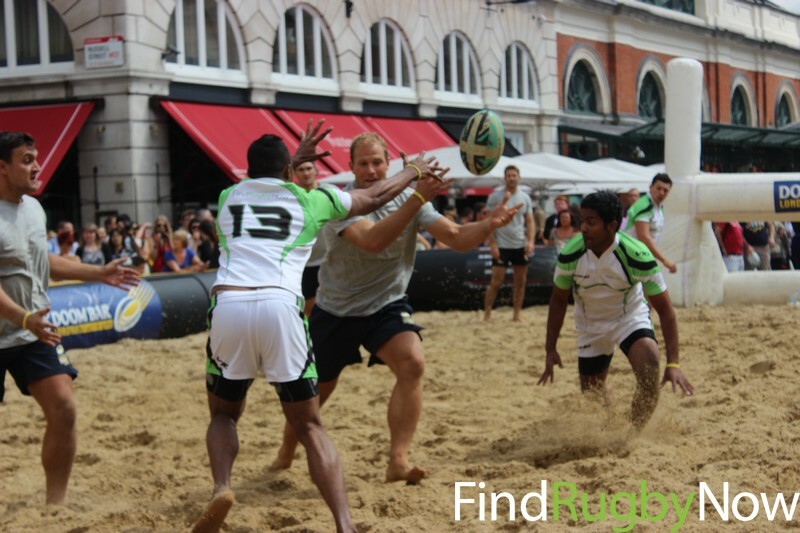 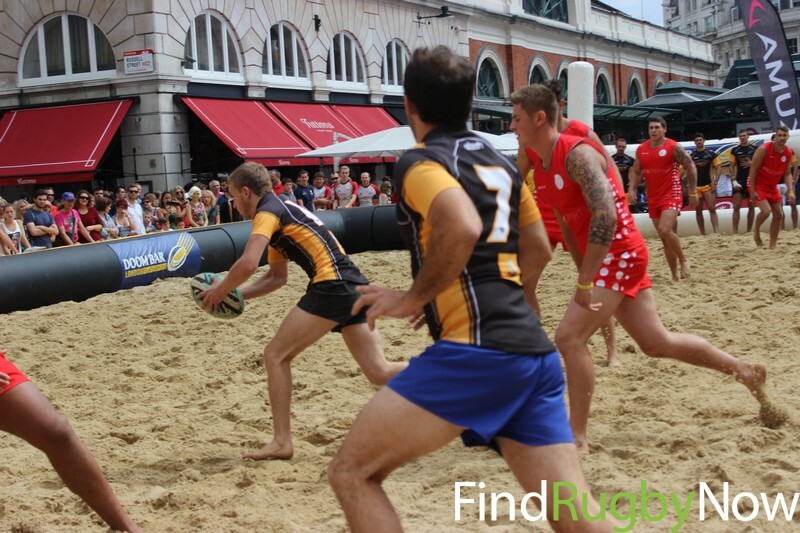 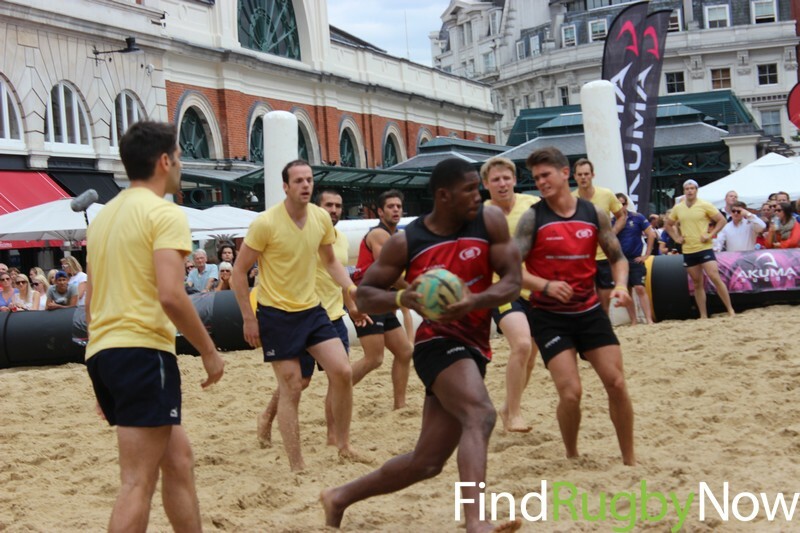 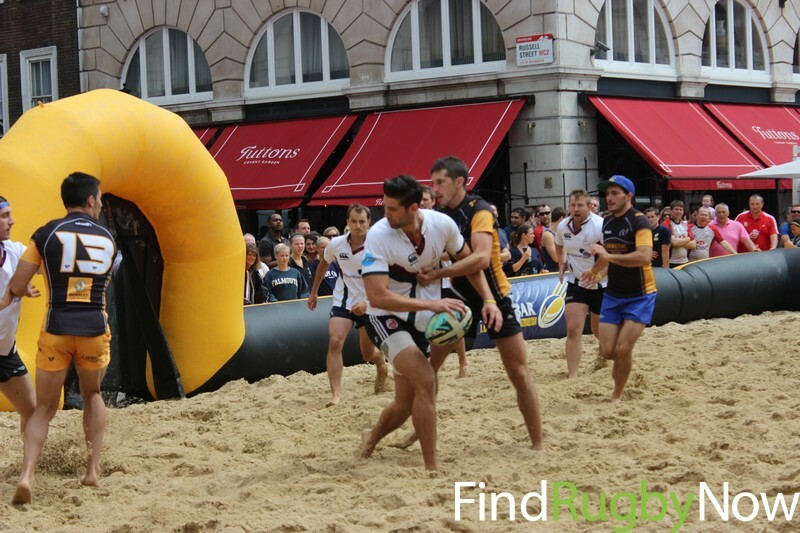 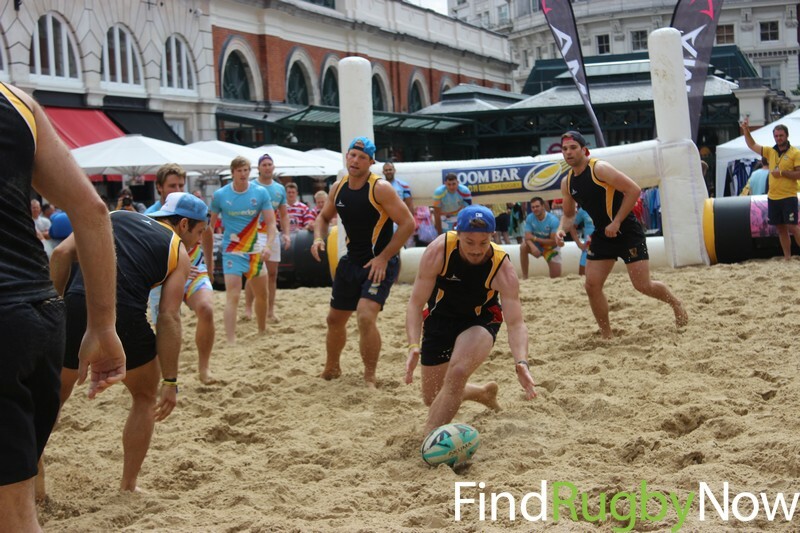 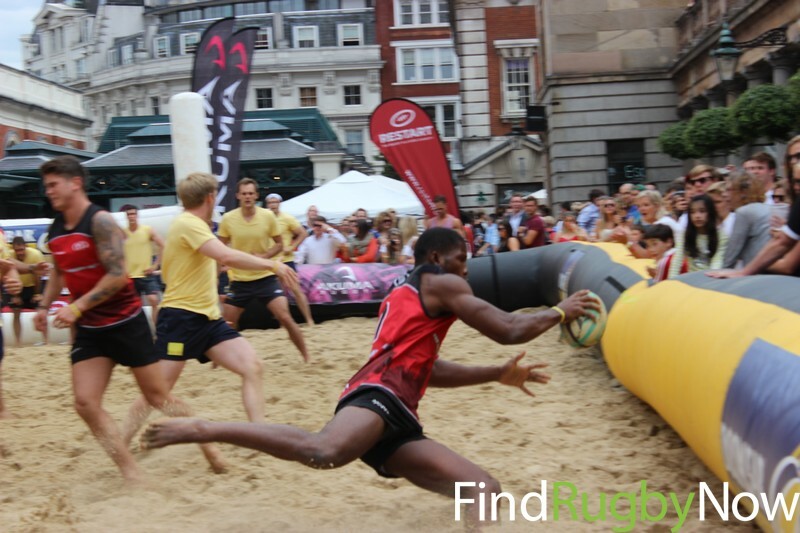 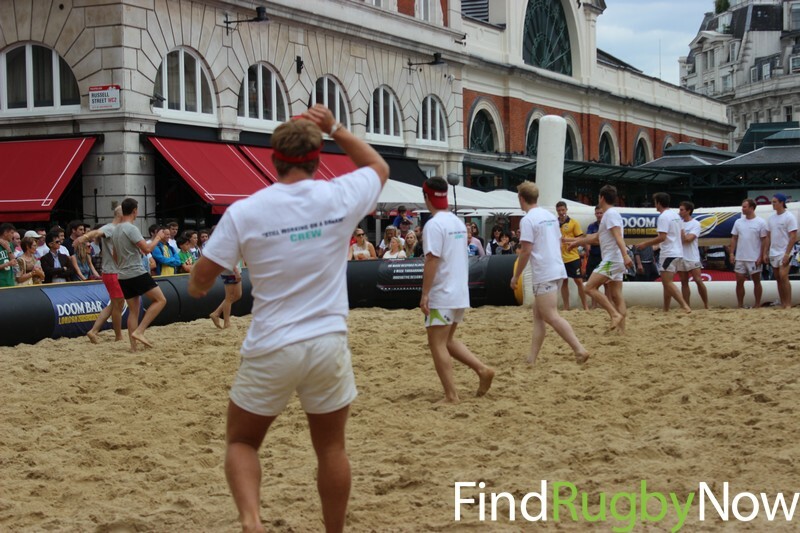 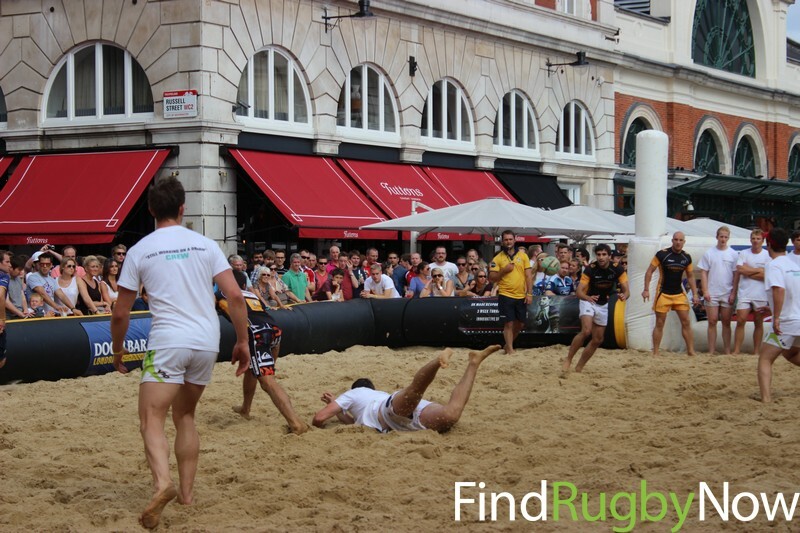 On Saturday, 10 August, Find Rugby Now (“FRN”) took part in the Doom Bar London Beach Rugby Tournament in Covent Garden, London. 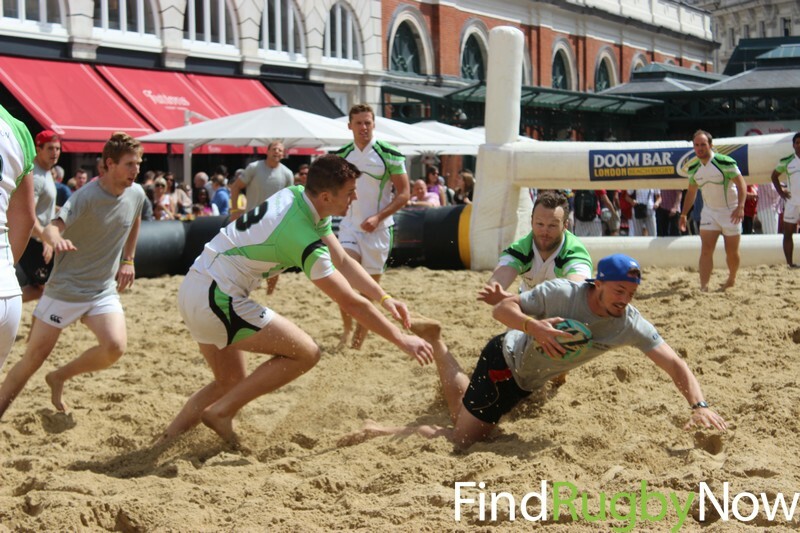 The standard of rugby was very high and FRN faced tough fixtures against Bruichladdich Bandits (eventual finalists), Doom Bar and Old Cranleighans, but the day was not lacking in fun and laughs. 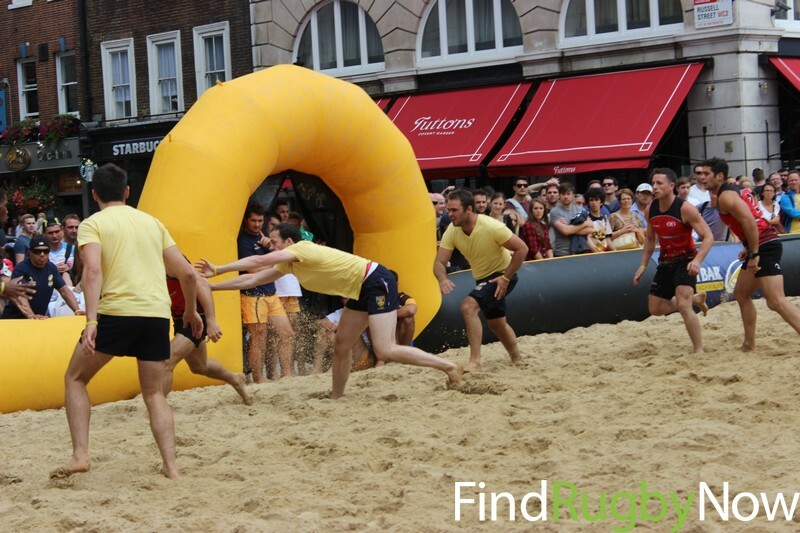 The nature of beach rugby in a blow up ring meant that missed dives, trip ups and scrambles resulted in hilarious comedy moments for the spectators and the players alike. 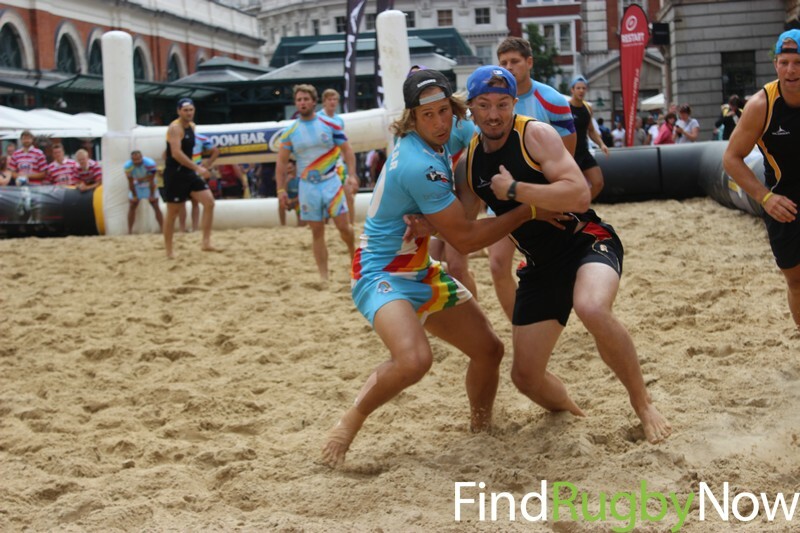 The touch element of the game also guaranteed less physical encounters (although some more aggressive than others) and good sportsmanship throughout the tournament. 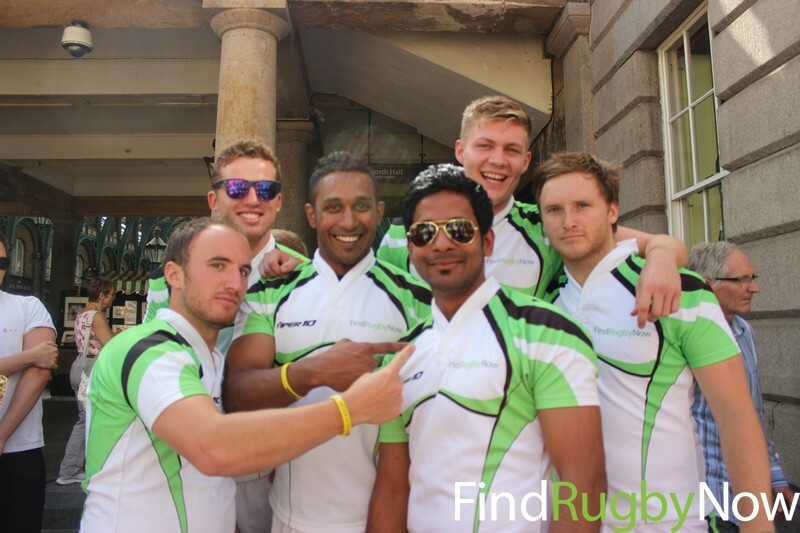 All the FRN boys left the tournament feeling happy to have been a part of such a great day. 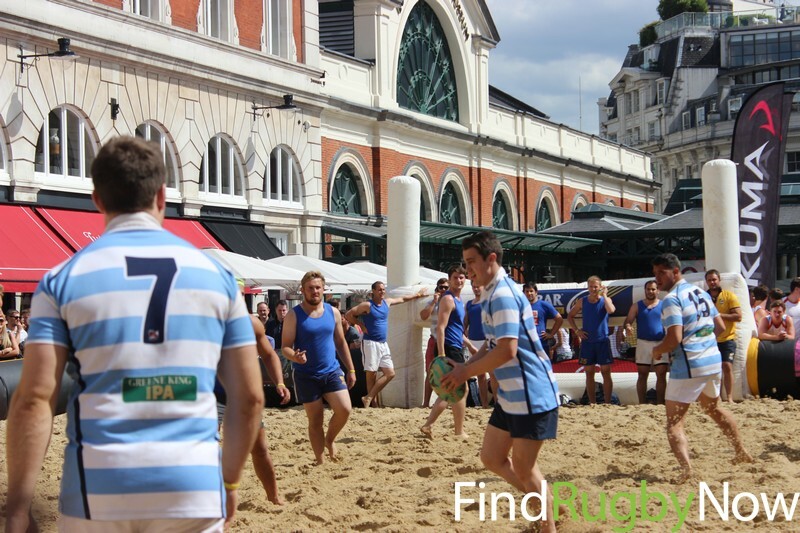 The winners of the Club Cup was Stash France, an invitational side from Biarittz that specialises in beach rugby. 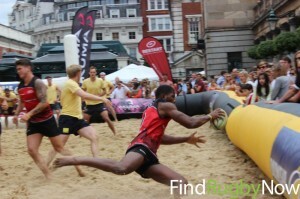 However, Bruichladdich Bandits, who they faced in the finals, put up a great fight. The tournament sponsors, Doom Bar, provided free drinks for spectators to sample throughout the day and added a bit of competitive fun with a rowing challenge to both men and women. 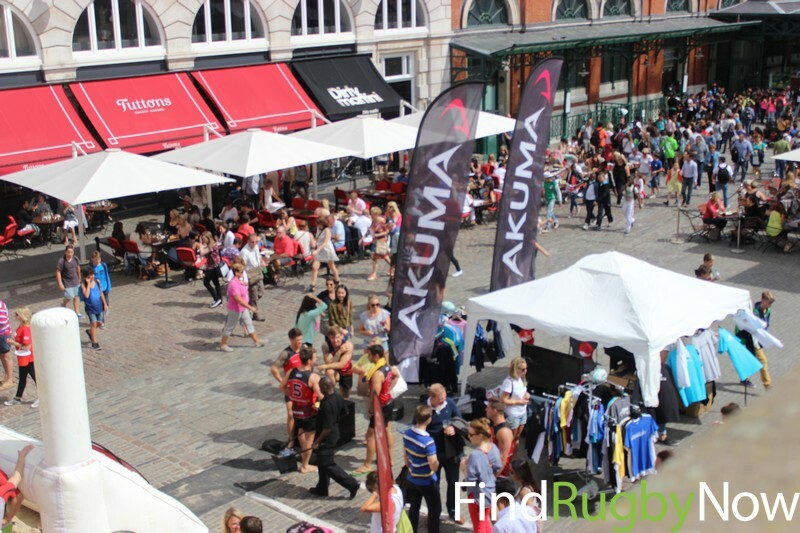 Akuma Rugby, which was the official kit and rugby ball sponsor, provided all players with free t-shirts and a pop-up stand for spectators to buy kit on the day. 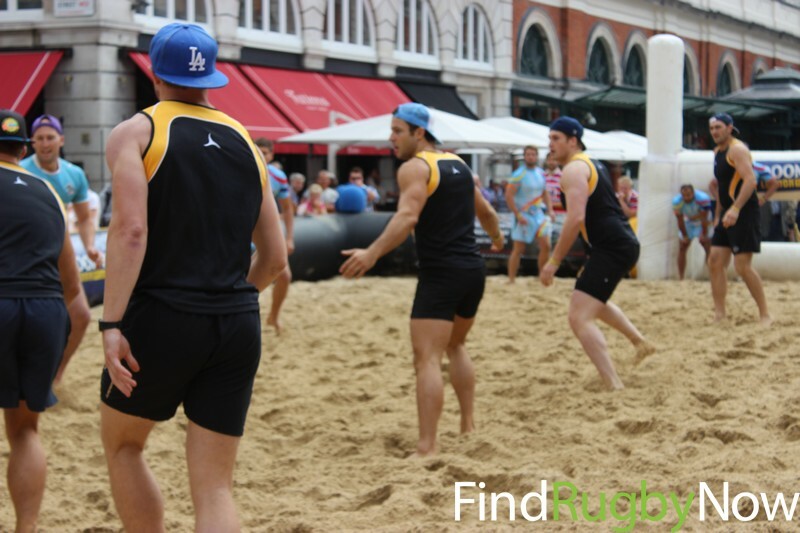 One of the highlights of the day was the Harlem Shake, which involved all spectators getting into the middle of the sand pitch to go crazy for 5 minutes before the tournament final. 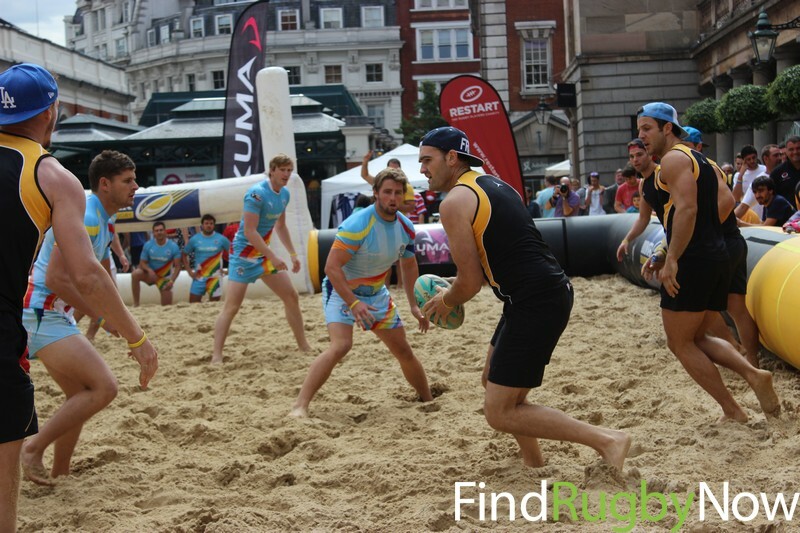 The tournament consisted of two days of 5-a-side touch rugby. 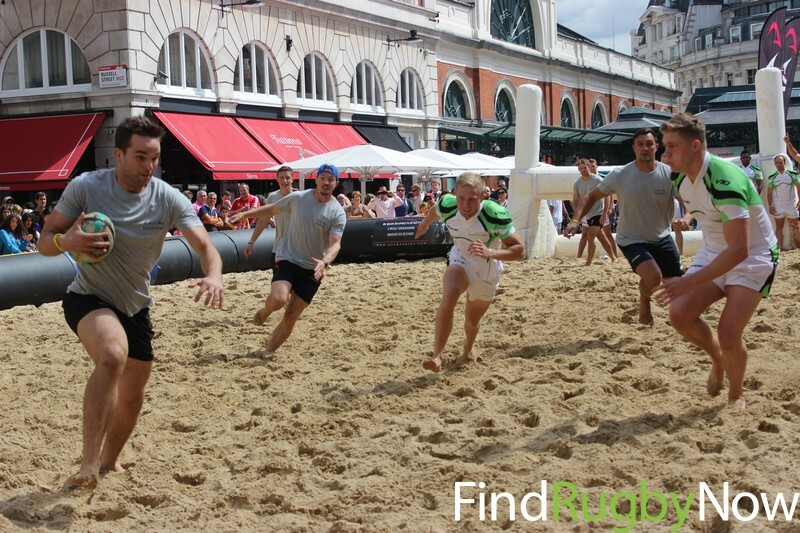 The Friday featured corporate teams competing for the Corporate Cup, which included teams from Accenture, Freshfields, Clifford Chance, Core Law, Jones Lang LaSalle and others. 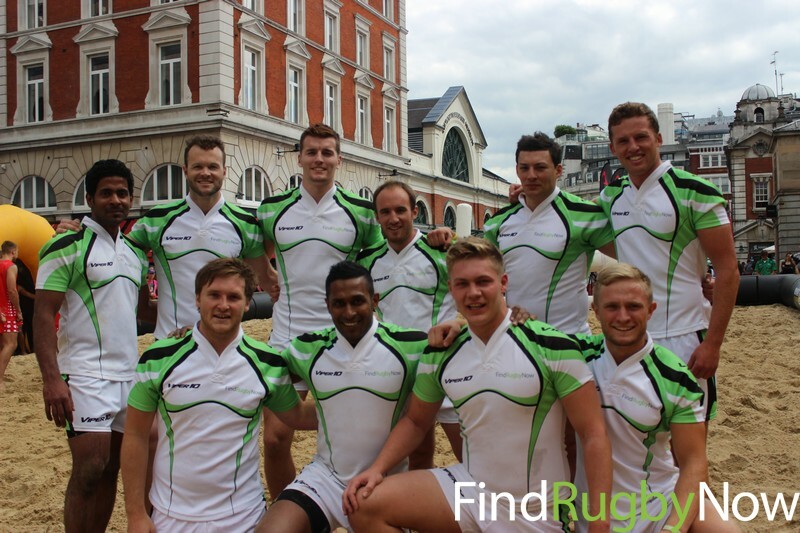 FRN took part in day two of the tournament, which featured club and invitational sides like Akuma School of Hard Knocks, Stash France, HSBC Rugby Club, London Cornish, Warlingham and others competing for the Club Cup. 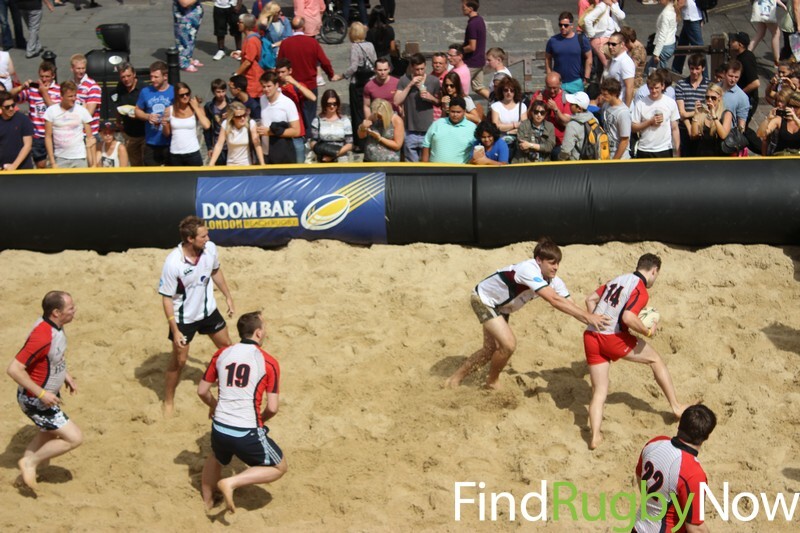 Throughout the two days, 32 teams and 320 competitors competed on an imported sand pitch with 80 tons of sand with five players and five rolling substitutes. 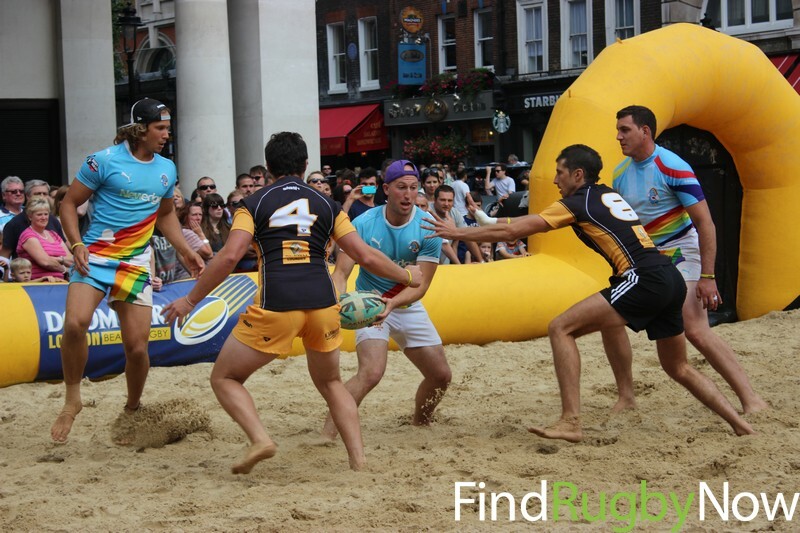 The event was hosted by City Beach Rugby, which has devised the concept of moving beach rugby tournaments to iconic places around the UK and is planning on hosting events in Scotland, Wales and Ireland in 2014. 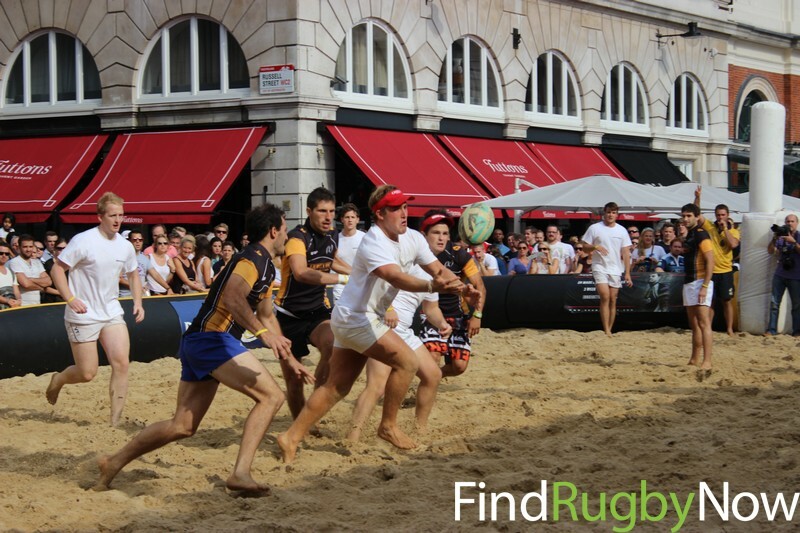 The tournament was held in East Piazza, which is the very heart of Covent Garden in front of the Royal Opera House and the London Transport Museum. 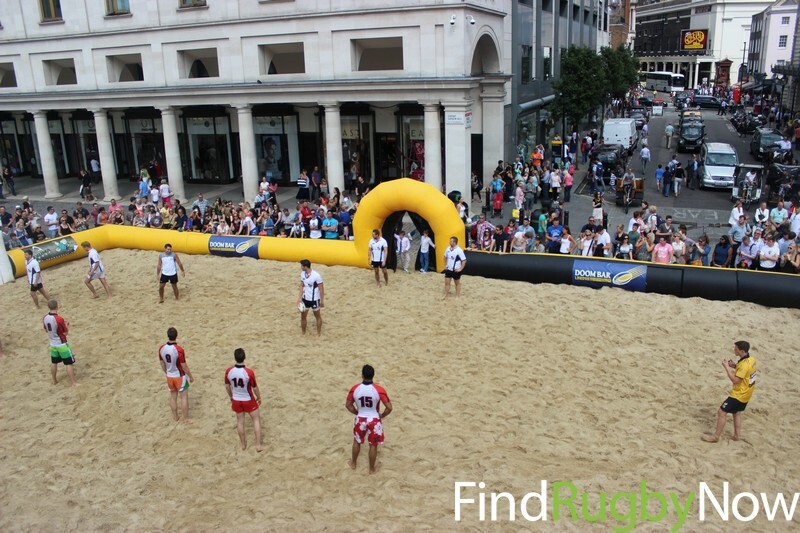 It was a great location. 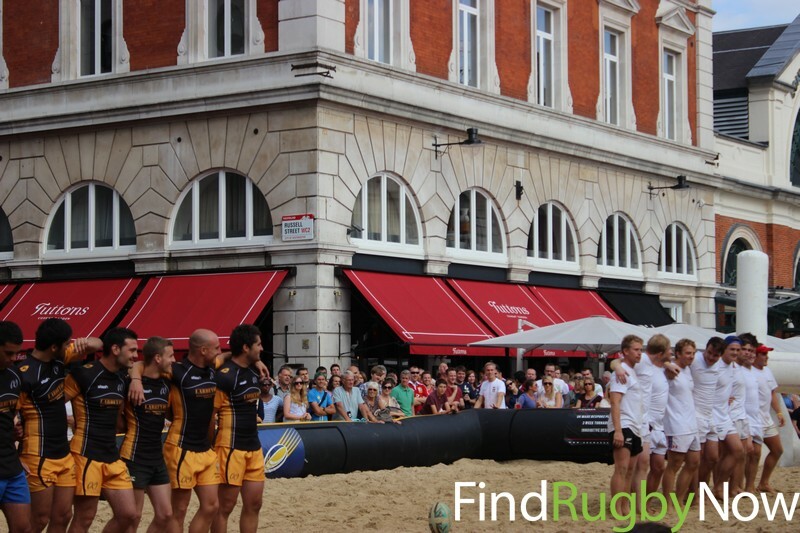 Not only was it unique, but the busy streets of Covent Garden provided for a great amount of spectators to stumble upon the tournament and enjoy the rugby on offer. 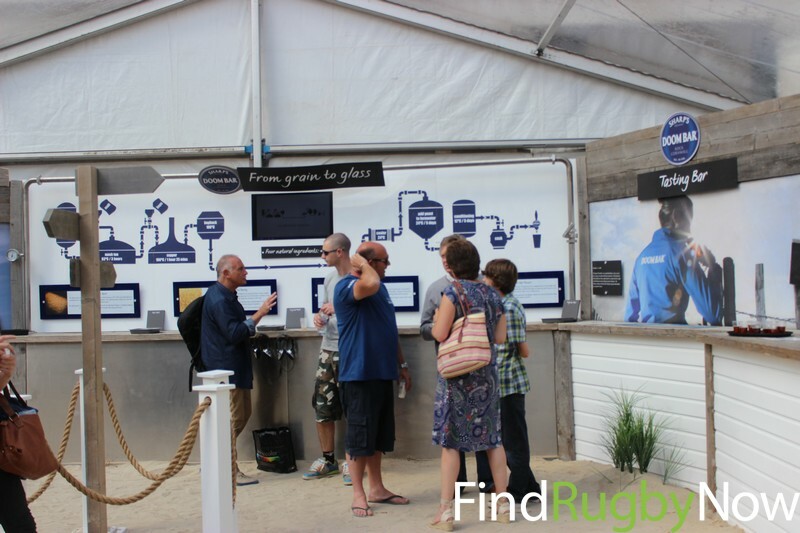 This was great both for the players that benefited from more supporters and for those passing by, many of whom were not aware of the tournament but ended up staying to enjoy the rugby for the whole day. 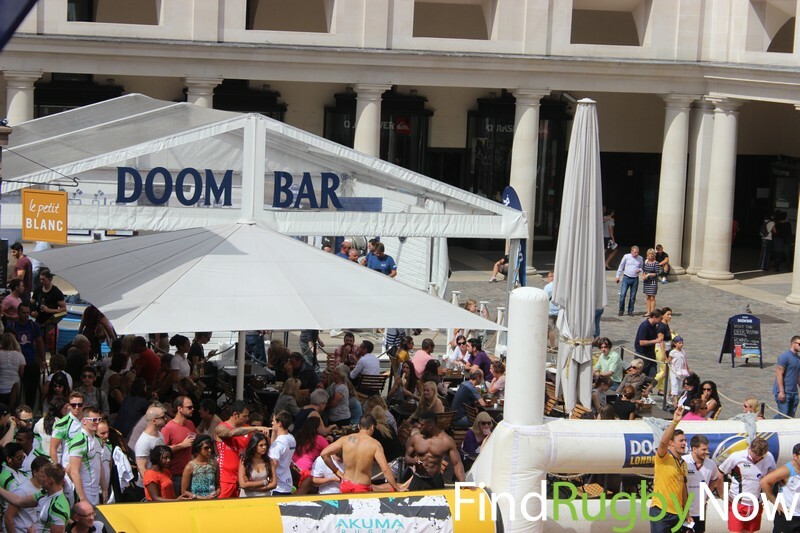 Doom Bar also added a lot of value to the event by providing ample free samples of ale from Sharp’s Brewery throughout the day. 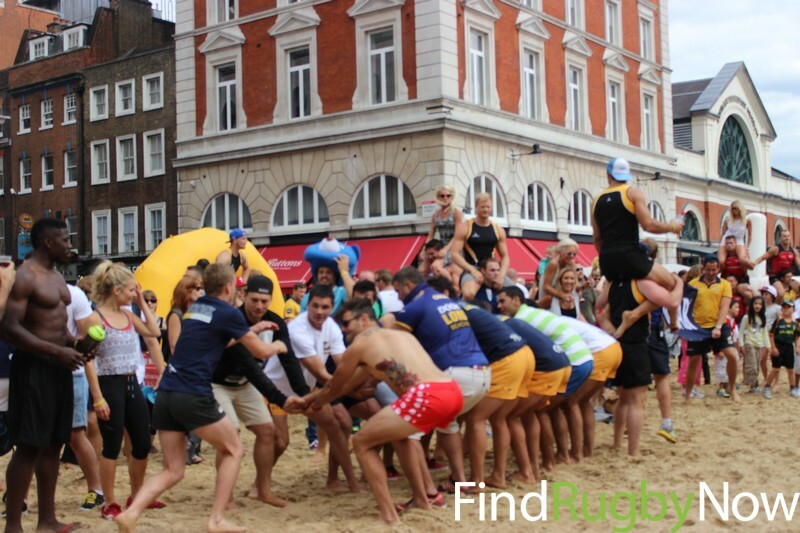 The level of rugby was very high as demonstrated by the winning team from France, which added excitement and prestige to the event. 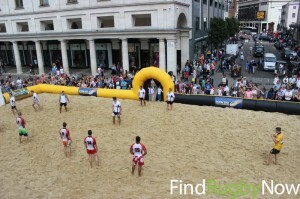 It also made for a very exciting final where the French and the English anthems were played before the match kicked off. 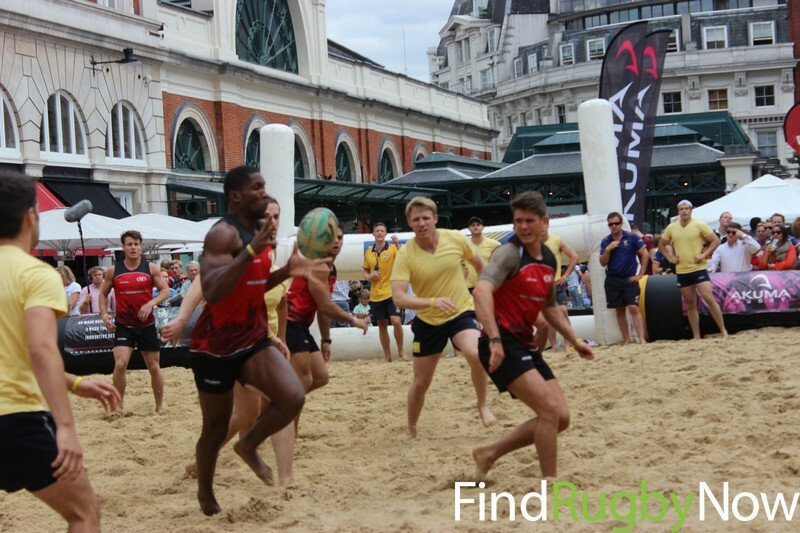 We were also pleased to see that the tournament partnered with Restart, the official charity of The Rugby Players Association (RPA), which provides support for professional players forced to retire through illness or injury. 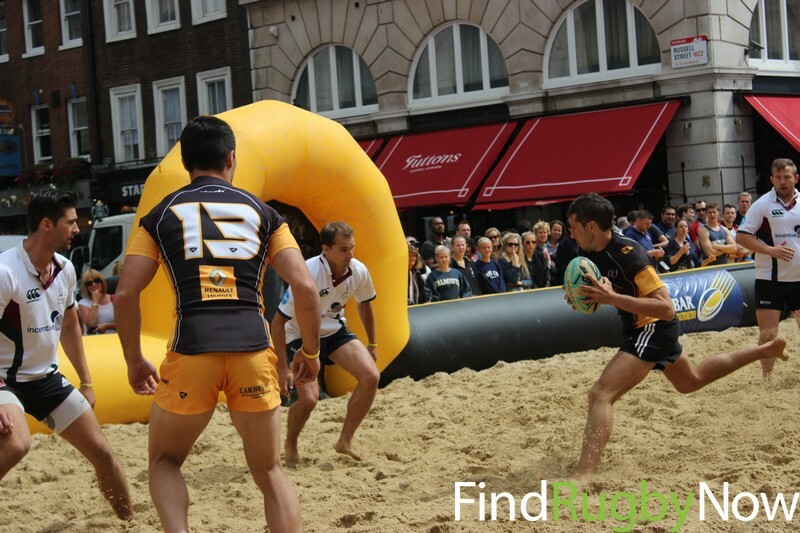 With the success of the Lions tour and the upcoming Rugby World Cup in 2015, which is being hosted in the UK, this beach rugby tournament was another event to introduce the public to the wonderful game of rugby. 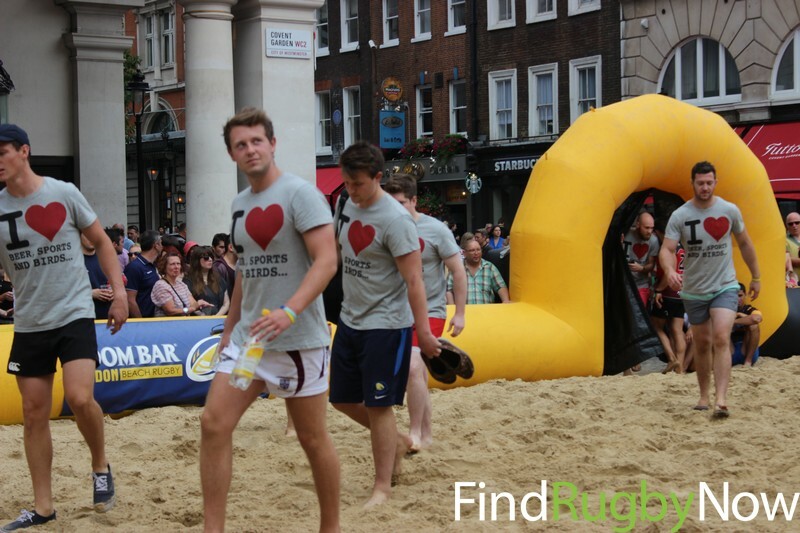 We look forward to taking part in the event again next year!